Description: Rupea Citadel (Romanian: Cetatea Rupea, German: Burg Reps, Hungarian: Kőhalmi vár) is one of the oldest archaeological sites in Romania, the first signs of human settlements dating from the Paleolithic and early Neolithic. The first documentary attestation dates from 1324 when the Saxons revolted against King Charles I of Hungary took refuge inside the citadel. According to archaeologists, the current citadel was built on the ruins of a former Dacian defense fort conquered by the Romans. The name of the citadel comes from Latin rupes meaning "stone". 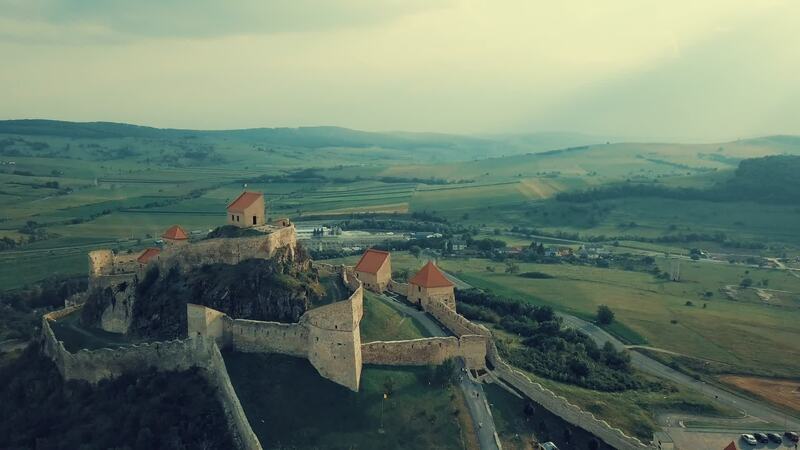 From the 10th century, the citadel experienced a systematic expansion, so that in the 14th century it had a key strategic role, being the main linking point between Transylvania, Moldavia and Wallachia. A popular legend in the area tells that Dacian king Decebalus would commit suicide within the citadel, during the Second Dacian War (105–106), when the citadel was known as Ramidava. Rupea Citadel is situated in the west of Rupea, on a 120 m-high basalt massive. The citadel is located on DN13, 70 km from Brașov, on the road to Sighișoara. The citadel is visited each month by more than 10,000 tourists.